This week has had two opposite ends of the spectrum. I have been a tad poorly, I caught one of those cheeky colds which, when you have no immune system a little cold can have some serious consequences. I have to take my temperature regularly and this week it peeked at 37.6 degrees, if that goes to 38 I have to phone an emergency hot line and I get admitted to hospital and flooded with antibiotics. Coughing and spluttering all night keeping myself awake with little sleep, not to mention my husband being kept awake has made me feel evermore drained. I did go to work Monday but haven’t been able to since. I have had to work from home, I don’t think its turned into Man Flu yet though, heaven forbid I get that!! Saturday, even though it was a very low day for Nottinghamshire Fire and Rescue Service, my employers, due to a serious incident tragically resulting in more than one fatality involving a family, something none of us wish to happen to anyone, the importance of having a working smoke alarm, night time routine and escape plan that everyone in the household is aware and familiar with is never more poignant than now. 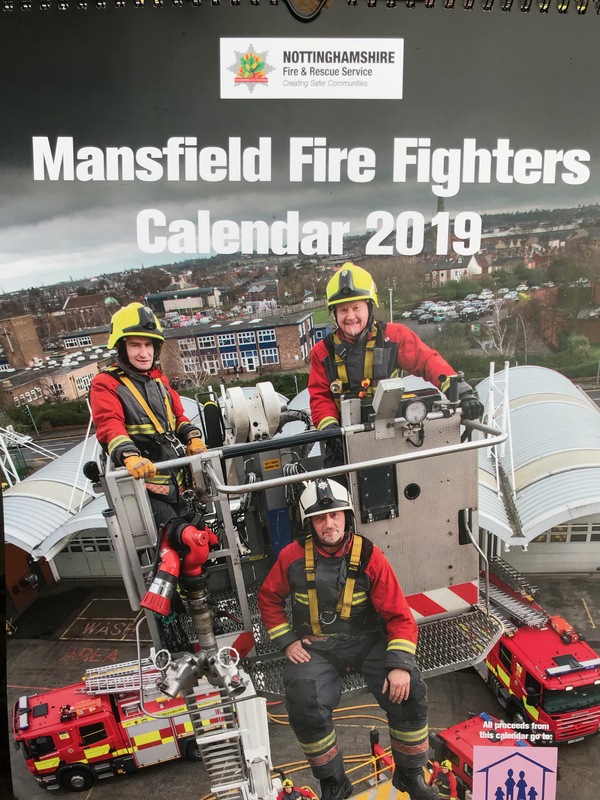 However, some of my colleagues battled the really cold winds and stood in Mansfield town centre Saturday morning in their own time, selling Calendars that have been printed to raise money for the Amazon breast care unit at the local hospital. 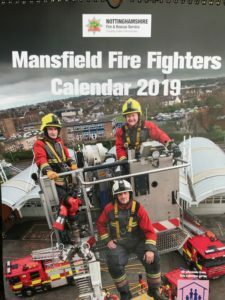 These Calendars have been kindly donated by a local printing company Linney’s. I did manage to get Steve to drive me up there so I could buy them a coffee and show my support for their actions. On Monday we were invited to visit Nottinghamshire Police HQ, where I met the Chief Constable Craig Guilford, along with Inspector Gallacher. The reason for this?? 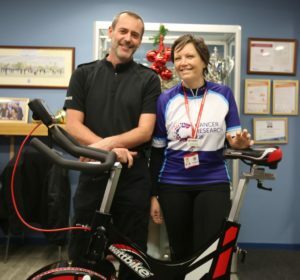 Well Insp Gallacher has seen our efforts to ride the coast to coast next year and this has motivated him to try and help. He has organised a static bike ride from the police HQ in Notts to New York Police HQ which is going to be quite some task and will involve Police Officers and Staff!! 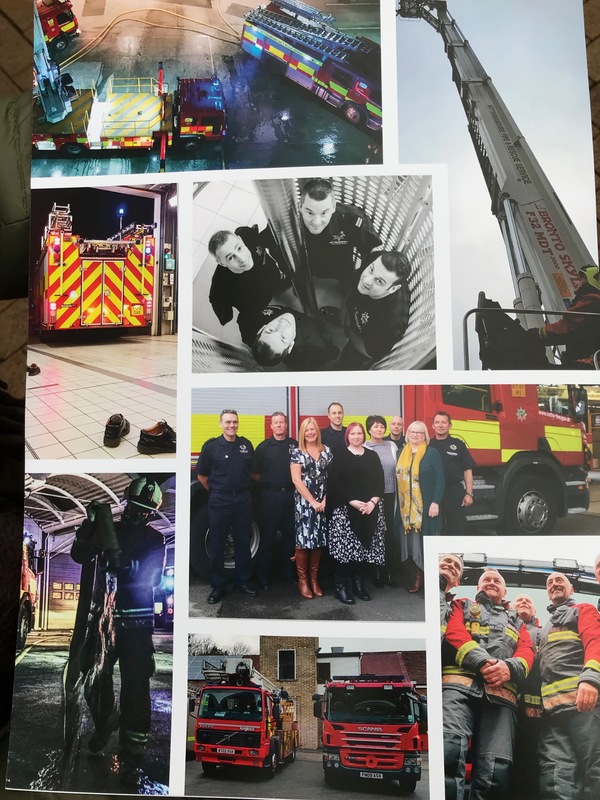 A Link to the article on the police website is here. 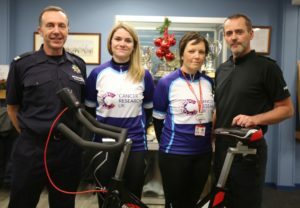 All monies raised will be be donated to us and added to our Coast to Coast total then donated to Cancer research. And how amazing but New York Police Department wish to return the favour and do the equivalent back to the UK at some point next year! you really do get a sense that we still have faith in humanity. The bike we’re going to use has been donated by a local company Indoor Sports Services. 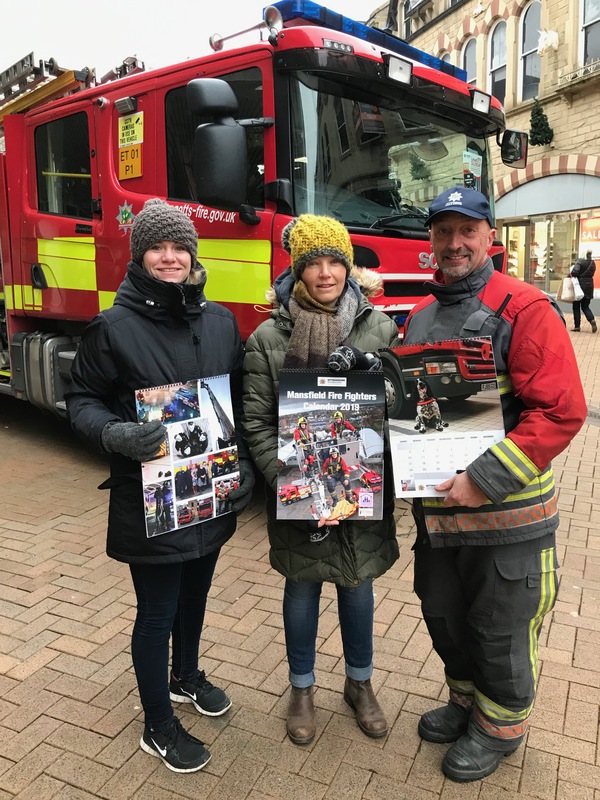 I would like to take this opportunity to thank my Colleagues from Nottinghamshire Fire and Rescue service, Nottinghamshire Police, Linney’s for the printing donation, and Indoor Sports Services…Their efforts and help have been amazing….